Beyond excited to share a sneak peek of my 2014 spring art line with you. 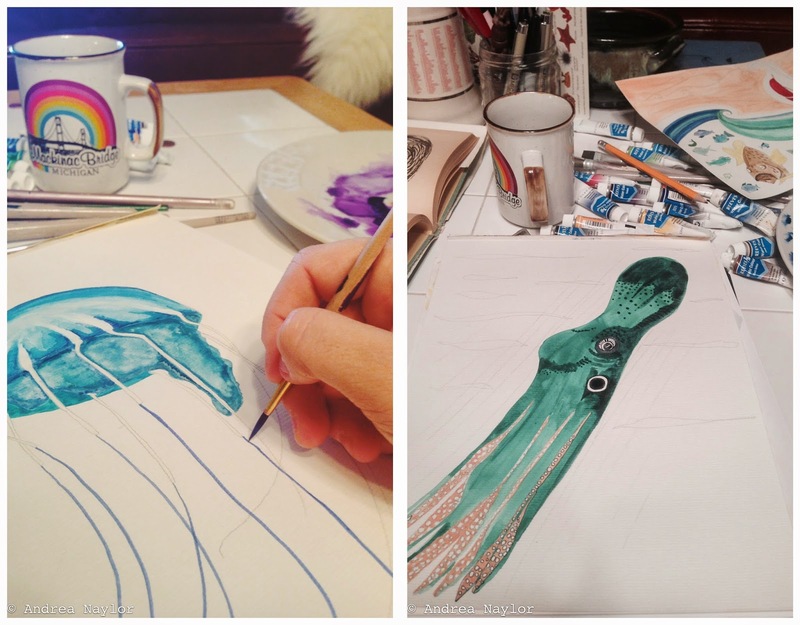 If you've been following me on instagram, I've been posting photos of these watercolor pieces in progress. Reminds me of the days I spent living on a houseboat in the Florida Keys. To say I miss those days would be an understatement. The full line will be announced/released in a few months. Prints will be available for purchase in my shop this spring- so stay tuned! You can also view last spring's art line from 2013 called, Fresh Air. I'm a now on a countdown (4 DAYS!) until I embark on my road-trip along California's beautiful coast. I have plans to drive from San Francisco to San Diego- and do every beach in between! It's been over three months since I've seen the ocean- the longest I've ever been away from the sea. This trip will be an incredible breath of fresh air to jumpstart my spring as well as a final send-off of some sort from mother earth, and my first winter ever this year. Never have I ever struggled with weather like I have this year. If you are new to the blog, you can read some excerpts from a series I wrote called "Winter Diaries" that chronicles my first winter here in Wisconsin complete with road trips to see fresh snowfall, tons of skiing, sledding, ice-fishing, and at times, I get a little emotional. I remain thankful for winter and all it brought this year. But here's to road trips along the sea and Fridays!